Charlie Chan and Louis Philipe Vega in a scene from "Charlie Chan in the Secret Service" (1944). WEEKLY CHAT/FILM VIEWING: "Charlie Chan at the Opera" starring Warner Oland. Please join us as we discuss this film LIVE as we watch it together via video tape or DVD! WEEKLY CHAT/FILM VIEWING: "The Chinese Ring" starring Roland Winters. Please join us as we discuss this film LIVE as we watch it together via video tape or DVD! WEEKLY CHAT/FILM VIEWING: "Charlie Chan in Paris" starring Warner Oland. Please join us as we discuss this film LIVE as we watch it together via video tape or DVD! 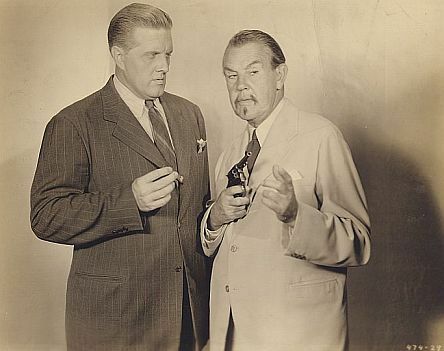 WEEKLY CHAT/FILM VIEWING: "Charlie Chan in the Secret Service" starring Sidney Toler. Please join us as we discuss this film LIVE as we watch it together via video tape or DVD!